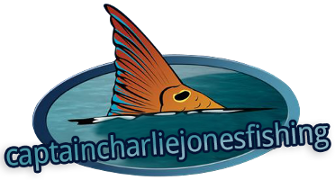 Offering a comfortable and exciting inshore fishing adventure, Captain Charlie Jones Inshore Fishing of Fort Pierce, Florida, offers a ride on a comfortable boat to reel in the catch of a lifetime. The warm Florida climate makes charter fishing a year-round activity. The boat is a Triton 24ft. LTS240 bay, with T-Top. A very soft and dry ride, the Triton is perfect to fish the Indian River, inlet and beach. Fully equipped with Raymarine 12" chartplotter/depthfinder, Power Pole and Minn Kota trolling motor, and 3 livewells for bait and your catch. Cooler with ice and bottled water for guests. The boat is equipped with all coast guard approved safety equipment. This boat has a unique ability to target tarpon or cobia if they are near the beach, something smaller boats simply cannot do. If you do not have a Florida fishing license, fear not. 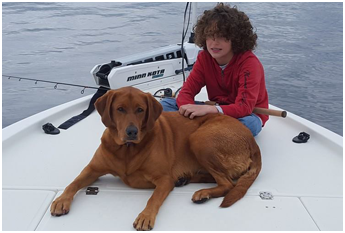 Captain Charlie who is fully licensed and insured also holds a license that covers everyone on the boat. Charlie is also an approved captain through the coast guard. Captain Charlie supplies everything needed for up to four anglers including tackle, rods, reels, and bait, and he also provides extras such as a digital camera and a cooler filled with ice and water. The boat has plenty of dry storage and three live wells for live bait and your catch. Boaters should wear comfortable clothing and bring sunglasses, hats, and sunscreen. It is also recommended that you bring your own drinks, lunch, and a camera. Please non marking sole shoes only! Captain supplies all live bait. For additional live pilchards, $15.00 per dozen. Recommended for three or four anglers.